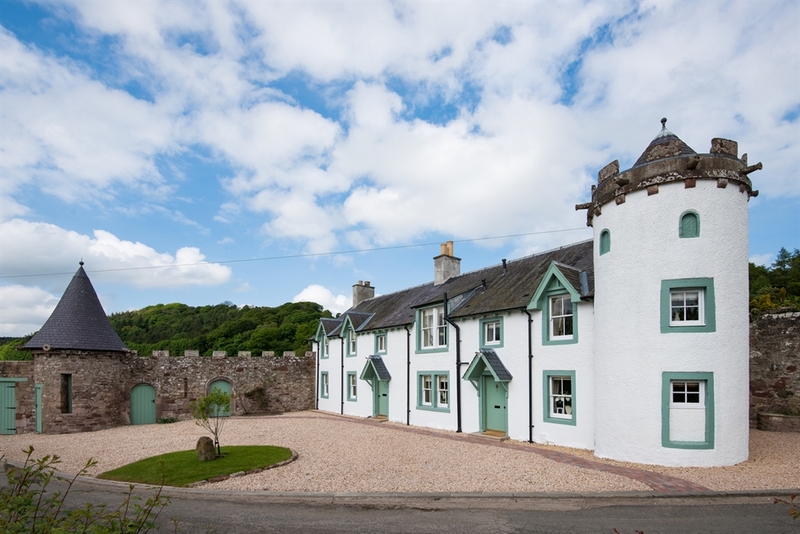 Built in the early 19th century, Dryburgh Stirling Two with its ornate orchard gate and turrets was originally part of the aristocratic folly of the 11th Earl of Buchan. 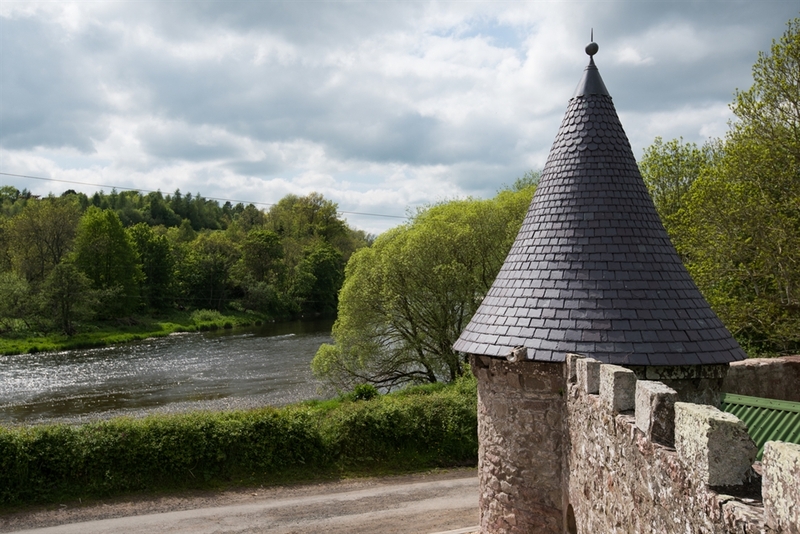 Nestled gently on the banks of the River Tweed amidst the rich dramatic beauty of the landscape made famous by the writings of Sir Walter Scott, this is an enchanting spot. 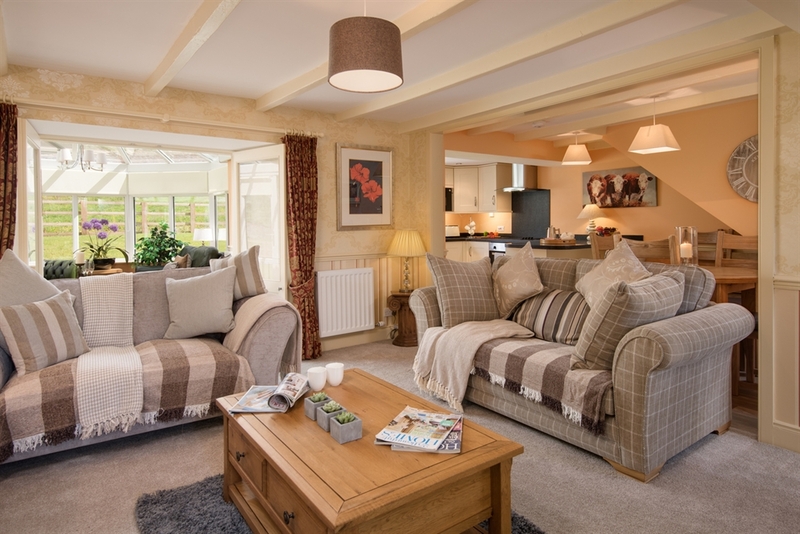 Now offered as two outstanding holiday lets, the cottages at Dryburgh have undergone a complete transformation to ensure the highest level of guest comfort throughout. 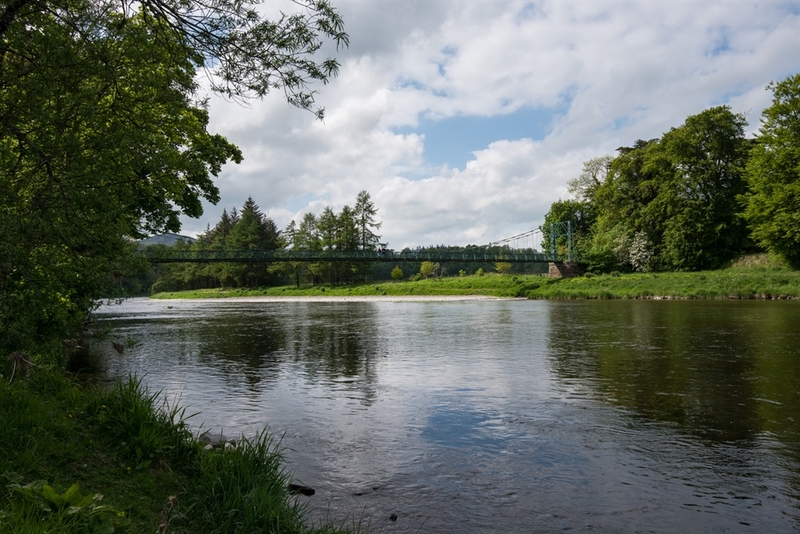 Sitting at the end of a no-through road surrounded by scenic parkland and woodland, the area is steeped in history and heritage, positioned just a stone’s throw from the romantic medieval ruins of Dryburgh Abbey, the mighty sandstone statue of Sir William Wallace, and the Dryburgh chain link bridge. 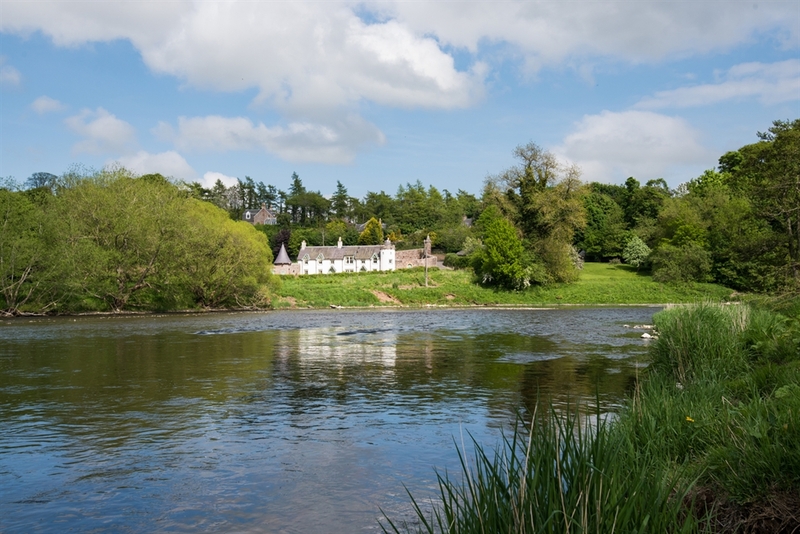 With its cosy country scheme, Dryburgh Stirling Two is a perfect setting for families and friends to get comfortable and enjoy this tranquil riverside retreat. 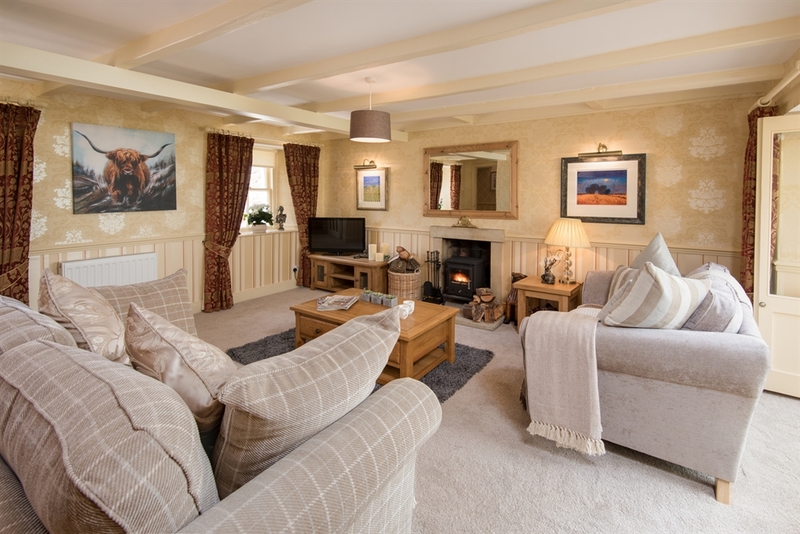 The cottage has been furnished with great care and attention with deep sumptuous sofas, high quality finishes and lovely proportions. 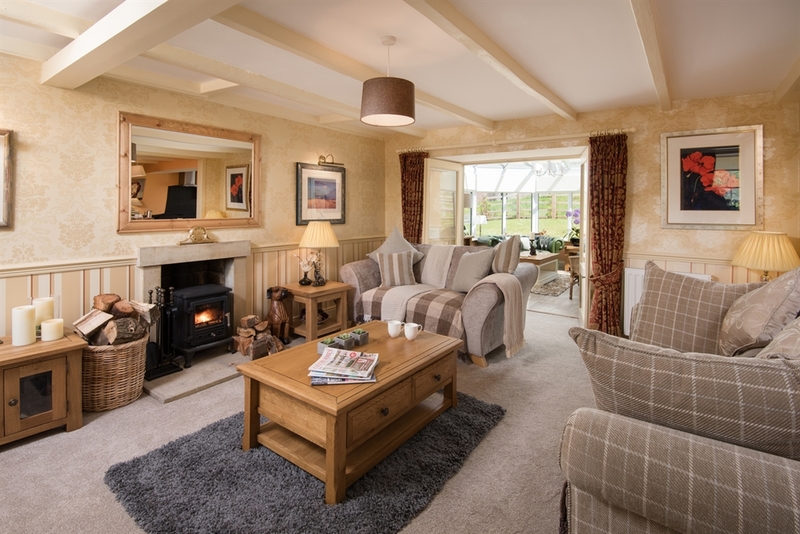 Sitting room with two large double sofas set around a wood burning stove with logs supplied. Technology includes a flat screen TV with integrated DVD. A selection of books, games and DVDs are provided. 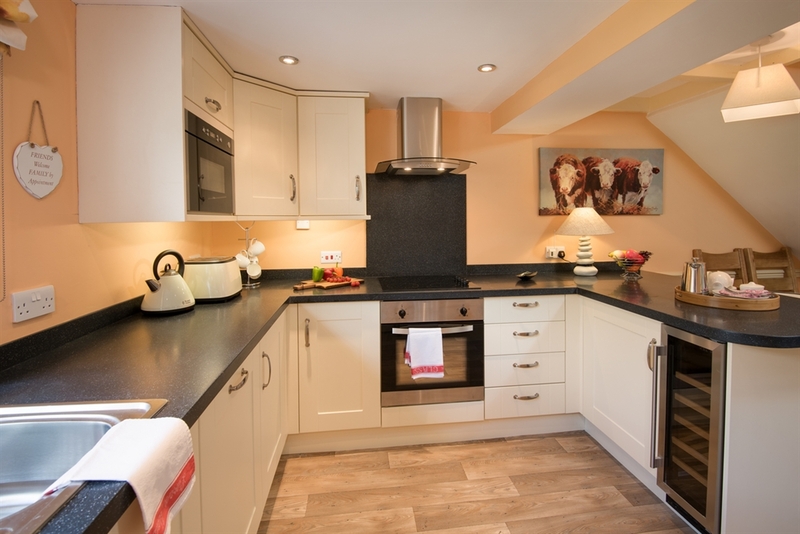 Kitchen/dining is fully equipped with electric oven, ceramic hob, fridge, integrated dishwasher, integrated microwave and wine fridge. CD/stereo system. There is an informal dining space with seating for 4/6. 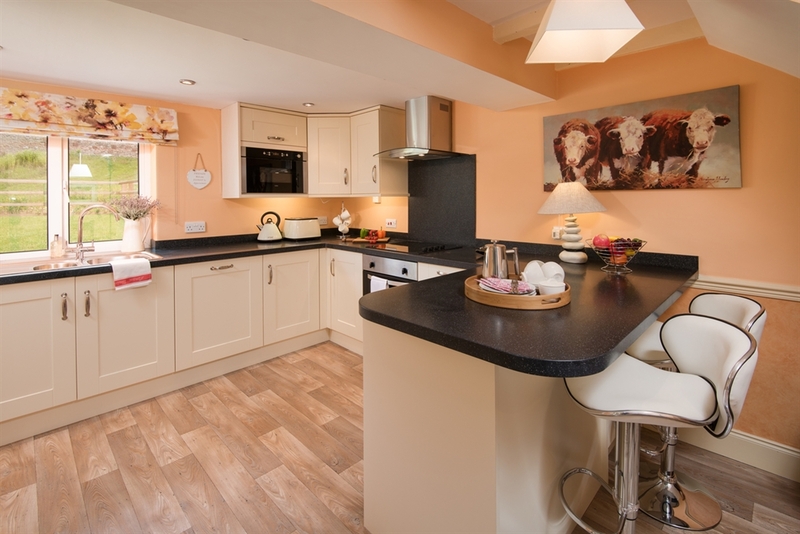 The breakfast bar has two high stools, and there is a separate round dining table with seating for 4/6. There is a large external storage/utility with washing machine and freezer. 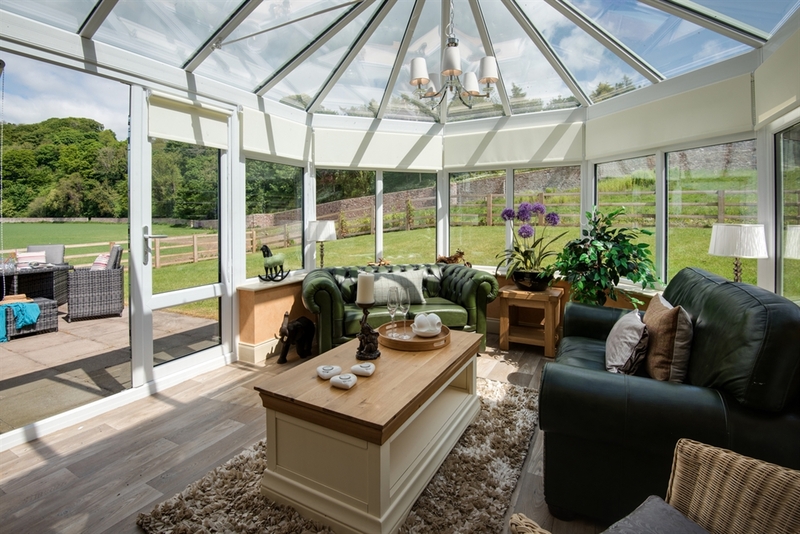 Conservatory with two leather sofas and flat screen TV. 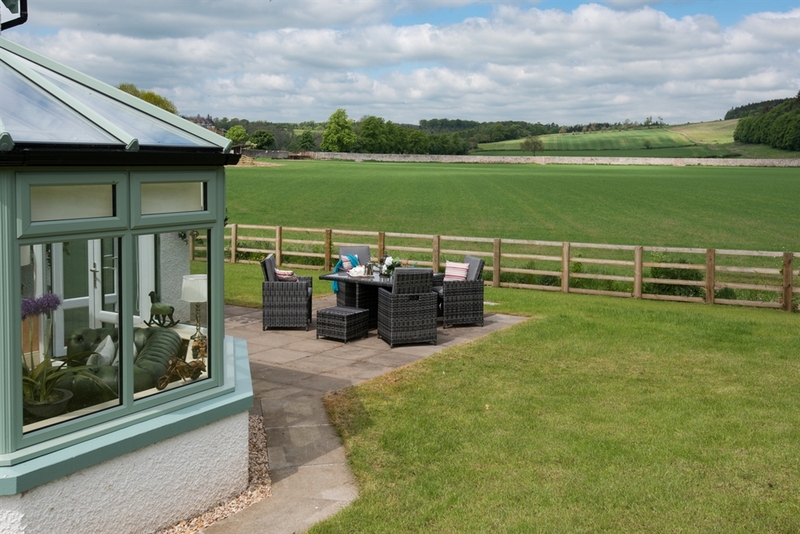 This opens out onto the patio which is equipped with garden furniture and enjoys lovely views over open parkland. 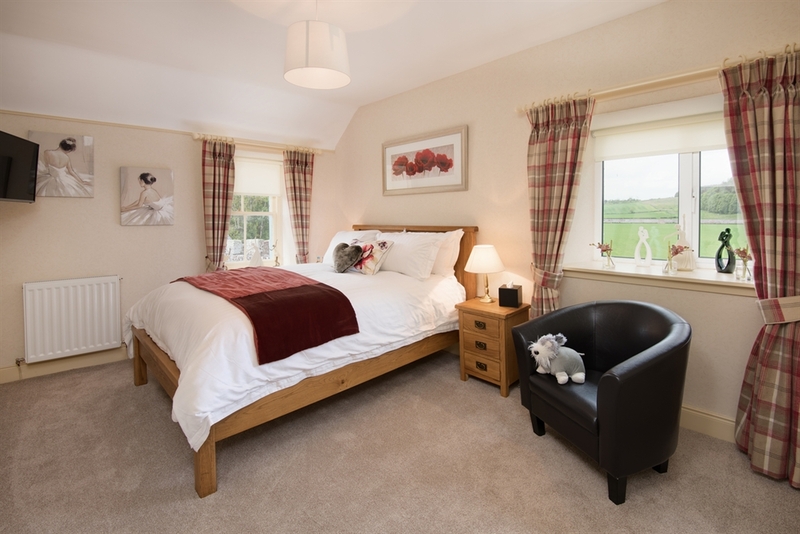 Bedroom one with 4’6” double bed, side tables, wardrobe, chest of drawers, and flat screen TV. 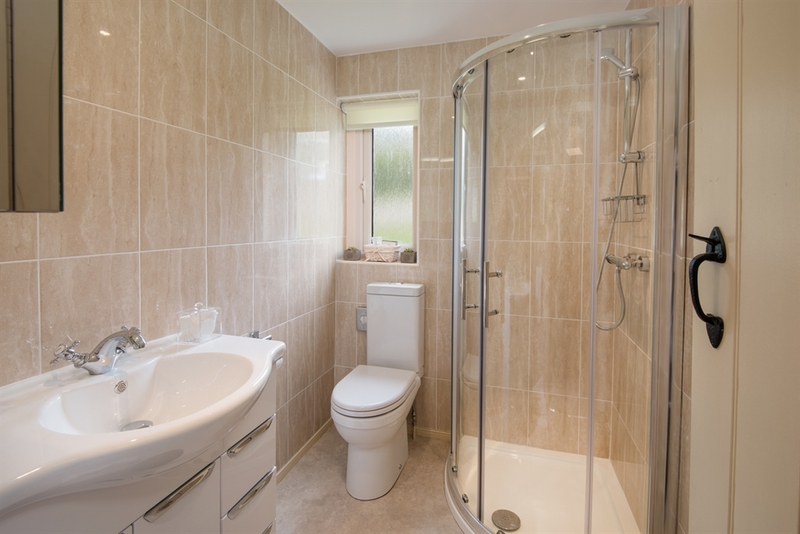 Bathroom with shower unit, heated towel rail, basin and WC. 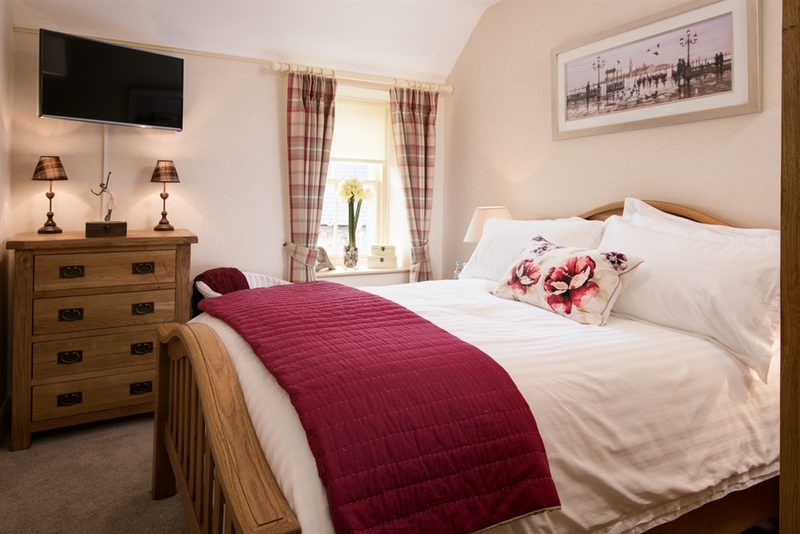 Bedroom two with 5’ king size bed, side tables, chest of drawers, flat screen TV. 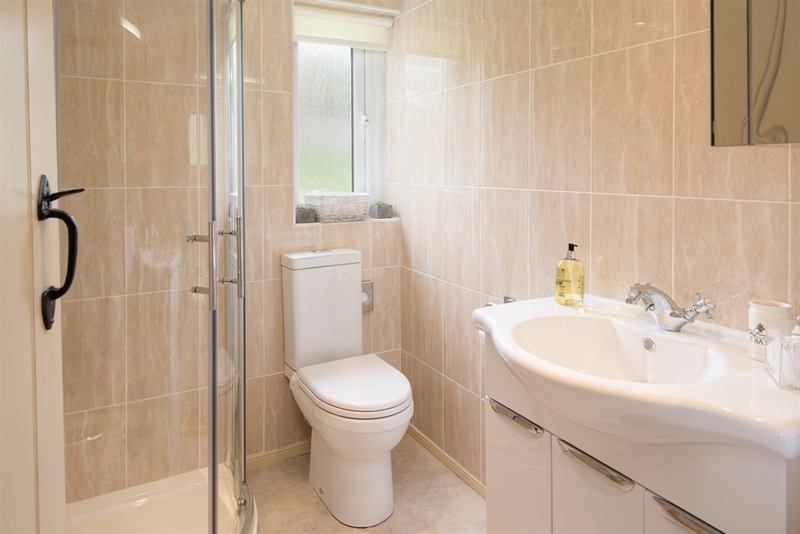 En-suite bathroom with corner shower unit, heated towel rail, basin and WC. 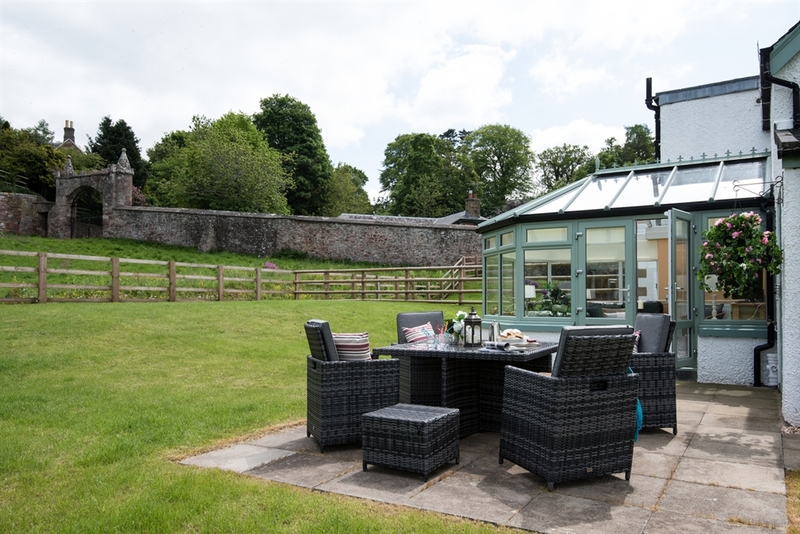 There is a patio and lawned garden to the rear of the property which is accessed from the conservatory. 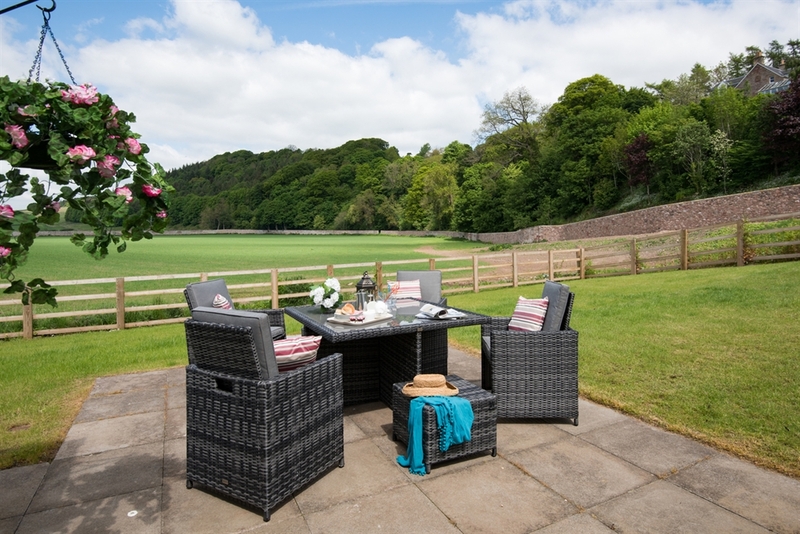 This has outside furniture for relaxation. There is a secure outdoor storage room with plenty of space for outdoor kit, fishing rods and bikes. An external cloakroom with WC adjoins the property. There is a large open kennel for dogs leading into the storage room to give dogs both internal and outdoor space. 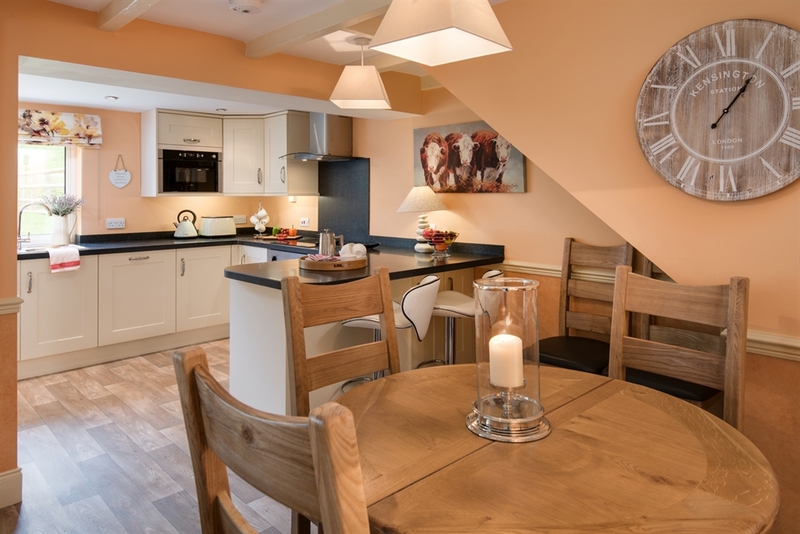 There is private parking for two cars to the front of the cottage. Two well-behaved dogs are permitted but must be kept to the conservatory area of the property only. Owners are asked to ensure that dogs are clean and dry before access into the property. There is an outside tap and large outside kennel. Dryburgh Stirling Two is a semi-detached property. 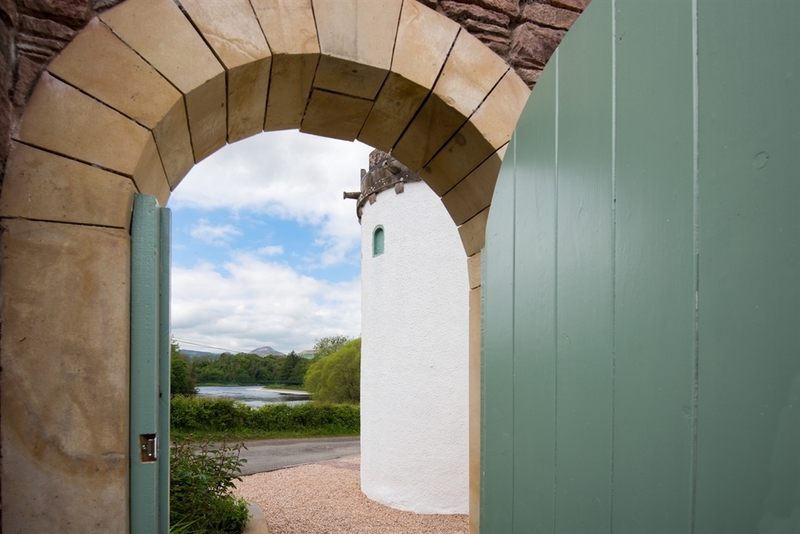 This adjoins Dryburgh Stirling One which is also offered as a holiday let. 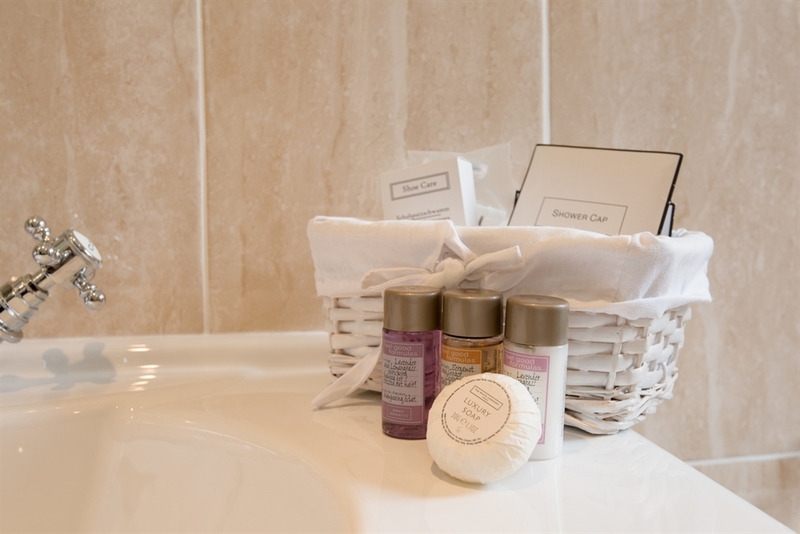 For guests looking to holiday together this cottage can be booked alongside Dryburgh Stirling One sleeping 4, Dryburgh Farmhouse One sleeping 4 and Dryburgh Farmhouse Two sleeping 4. 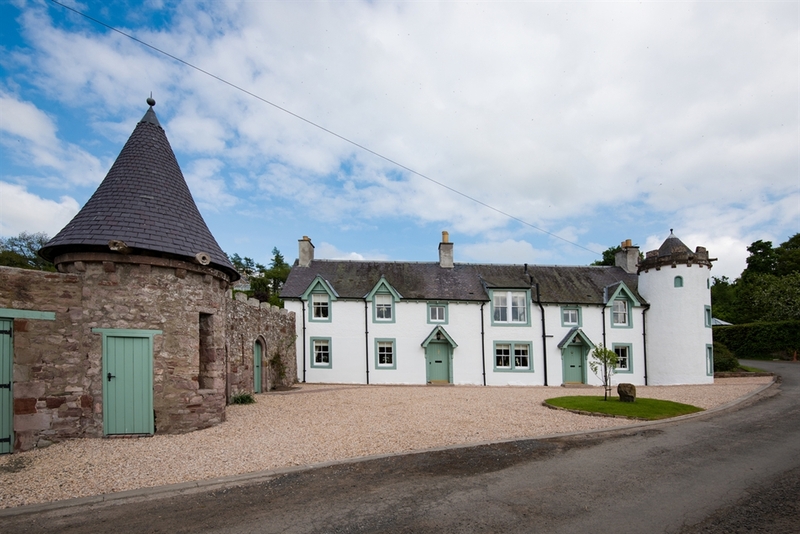 Dryburgh Farmhouse One and Two are adjoining with a connecting door and are a short distance away. Dryburgh Stirling One and Two are located next to each other.